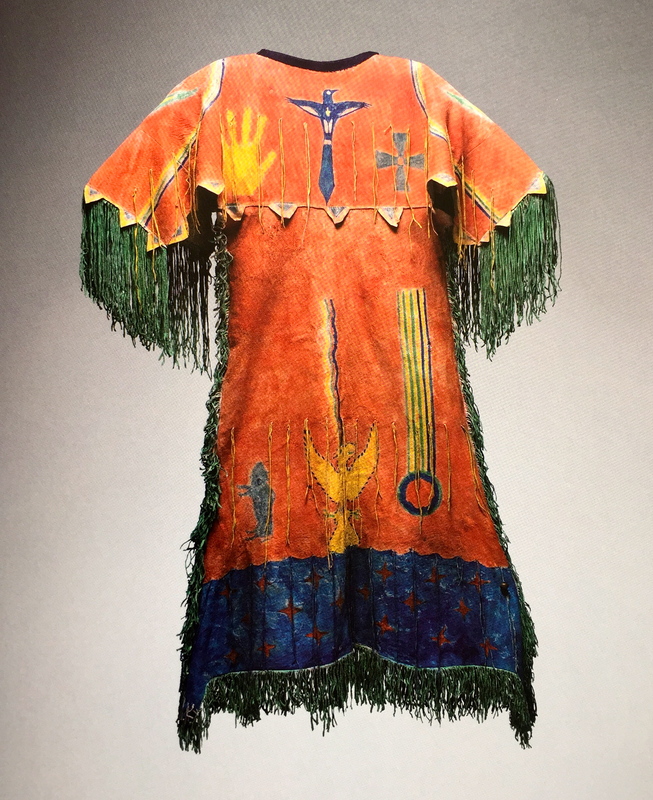 A visit to the new exhibit “The Plains Indians: Artists of the Earth and Sky” at the Metropolitan Museum of Art has given me so much fodder for this blog that I had great difficulty in deciding what to write about so I will once again do a multipart posting. I think part of the dilemma is that I have had a long-standing obsession with Native American culture that began many many years ago with a trip to the Canyonlands. In previous posts I have touched upon the immense natural and man-made beauty of Bryce Canyon, Glen Canyon and Lake Powell, and of course the Grand Canyon, but I have only hinted at my fascination with the peoples that lived, not only in the Southwest but all across the Americas well before the Europeans came to plunder (more on that later). My preoccupation with all things indigenous came bounding back with the exploration of the astounding artifacts “left” by the creative peoples of the Plains. Let’s start with a little geography/history lesson. I am sure you will recognize the names of many of the tribes: Apache, Arapaho, Cheyenne, Comanche, Crow, Lakota, Pawnee, etc. While a few tribes lived sedentary lives in permanent villages as farmers, most of these tribes were nomadic, following the buffalo herds as they migrated across the land. Their living quarters were easily staked or dismantled so that the people could quickly follow their prime source, not only for food, but also clothing and shelter (hides) weapons and tools (bones) implements like spoons, cups (horns). Even the tails were used as whips and the buffalo’s stomach made for a handy water container. Totally recycling at its best. The people killed only what they needed for survival and they venerated the buffalo for giving them sustenance.. When the early European explorers and settlers came to the Americas one of the few positive things they brought to the Native Americans was the reintroduction of the horse which had centuries earlier been hunted to extinction. 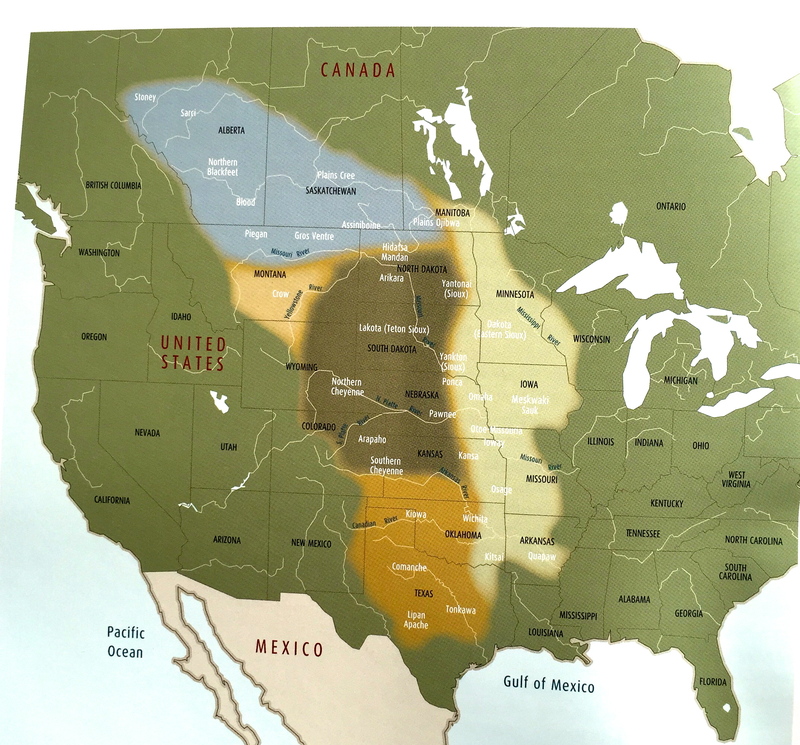 A major paradigm shift in lifestyle occurred as the Plains Indians could now go to greater and quicker lengths to hunt and travel. Great bonds were created between man and beast and as you will see later, and great respect and honor was given to these noble steeds. Unfortunately, the settlers also brought ideas and actions that terrifically impacted the lives of the Plains Indians. 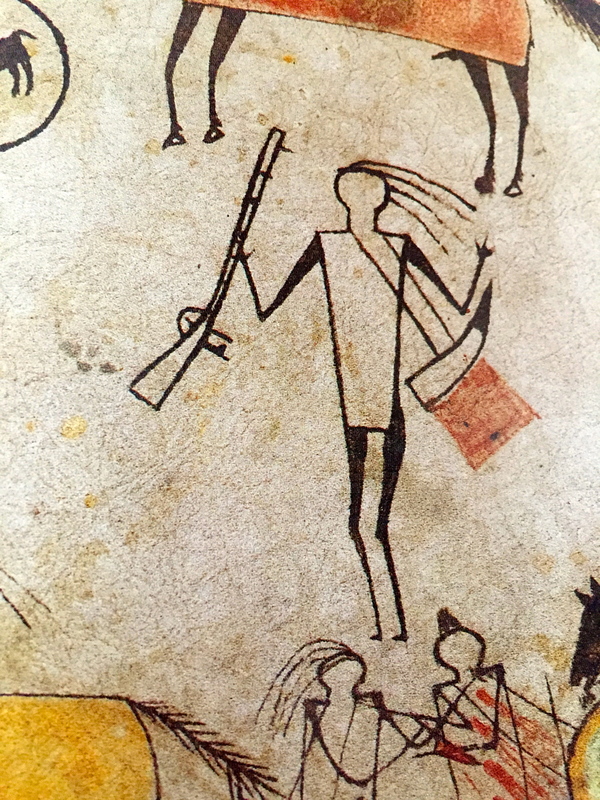 For one, being believers of conspicuous consumption, they proceeded to hunt buffalo to near extinction. 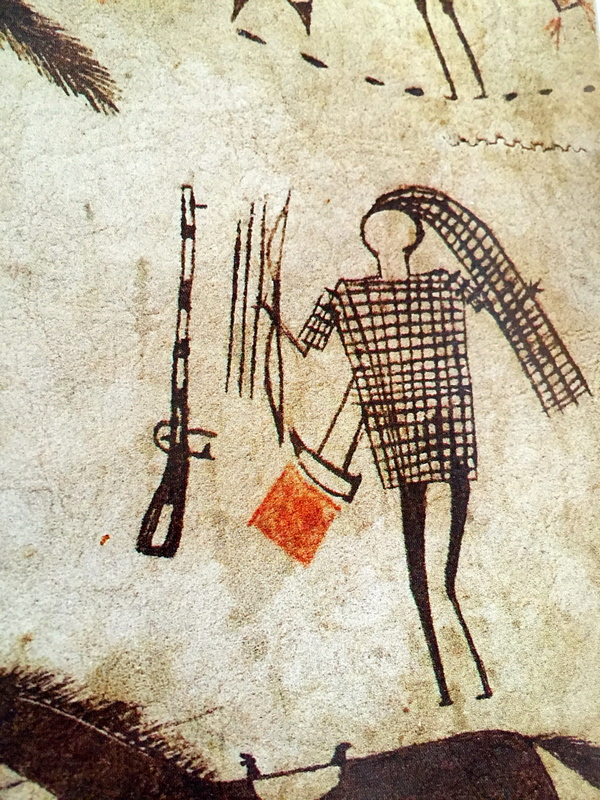 They also thought it would be prudent to take the Native peoples aways from their ancestral land and deposit them in a grouping of reservations, for “their protection.” Along this path of sequestering the Native Americans the “pale-face” also began acquiring artifacts as a way to preserve knowledge – knowing that the culture was in danger of extinction. This generates such mixed emotions – anger that any culture would be subjected to “assimilation” and annihilation of their ancestry (which we all know was nothing new then and is still happening today) as well as exhilaration that these collections can now provide an intimate look into the day-to-day lives of a very creative people. 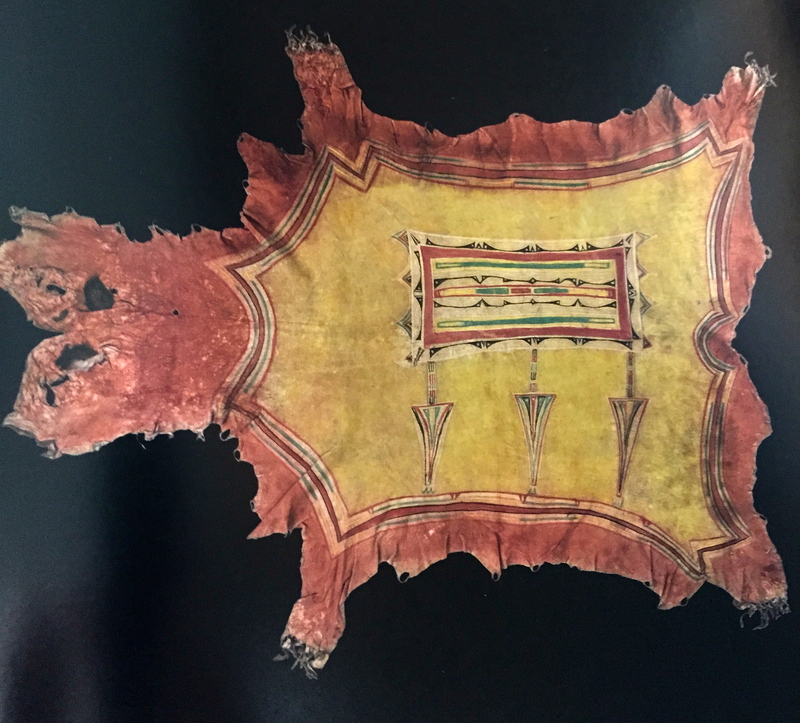 The natural world and art appear to be inseparable components of the Plains Indians lives, as they intertwined to create not only works of beauty but also essential products for survival. The inherent beauty of natural materials was recognized by these people who tried to incorporate the “spirit” of these items to create an artistic vocabulary of form and design to accent their oral narratives, dance and music traditions that cemented the society. Factual history, mythologies, religious beliefs, societal rules, day to day life were all included in the creation of these artistic pieces. 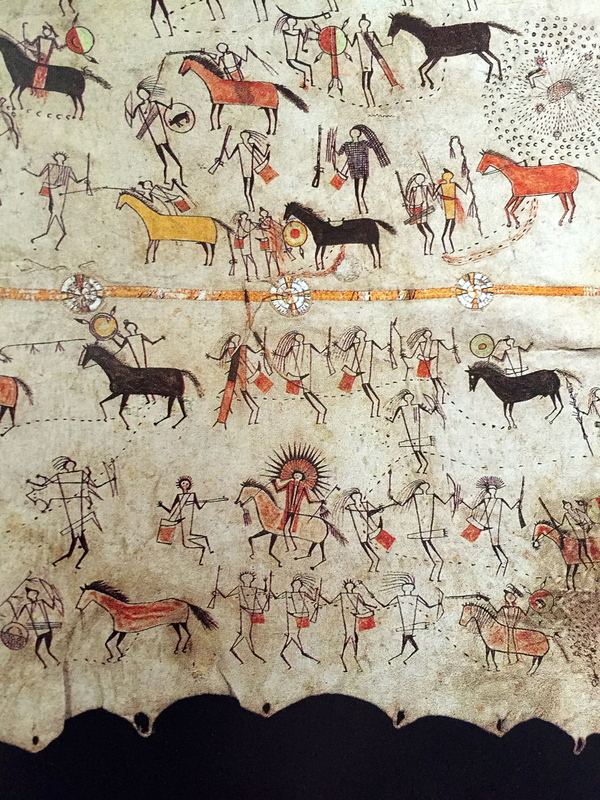 Note that there are no faces painted on the figures, and the figures are placed on a blank background. 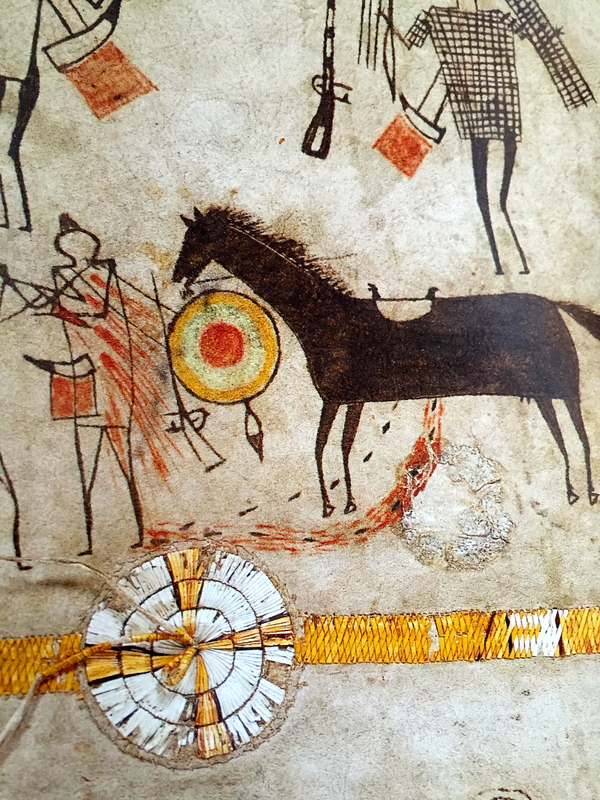 It was up to the narrator to provide the texture of time and the context of how the heroes brought honor to their people even though they as well as their steeds were injured (see above picture of warrior and horse). However, sometimes the divination of what artist was involved is not so black or white. This is one of the most famous robes of the era – yet the striking design is not so clearly male or female. While there are many geometric shapes, beautifully elongated that would part of a female artist’s repertoire, there is also a magnificent thunderbird motif at the center that would be considered of male origin. 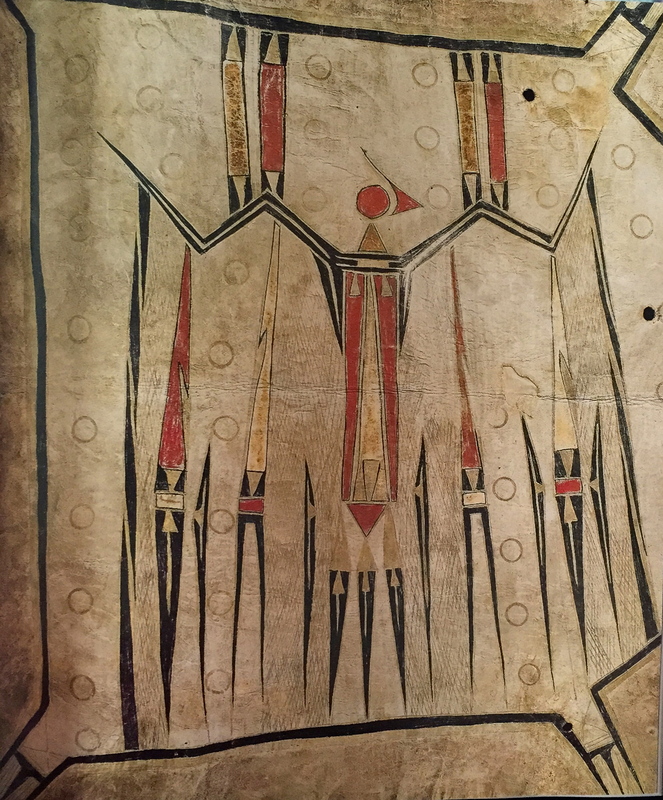 To add to the confusion, while almost all robes are decorated with the hide of the buffalo head on the left side, this robe has it on the right. Was this artist a maverick? Or is there a deeper meaning? This dress is an exquisite example of intricate artistry. It is constructed of tanned leather, porcupine and bird quills, brass buttons, cowrie shells, glass beads, metal cones, horsehair, plant fibers, cotton cotton tae and wool cloth. Ironically many of those materials were gathered by trading with the settlers, as the Plains did not obviously have native cowrie shells or brass buttons, Even the tiny seed pearls that we so often associate with Native American art are actually from Europe. 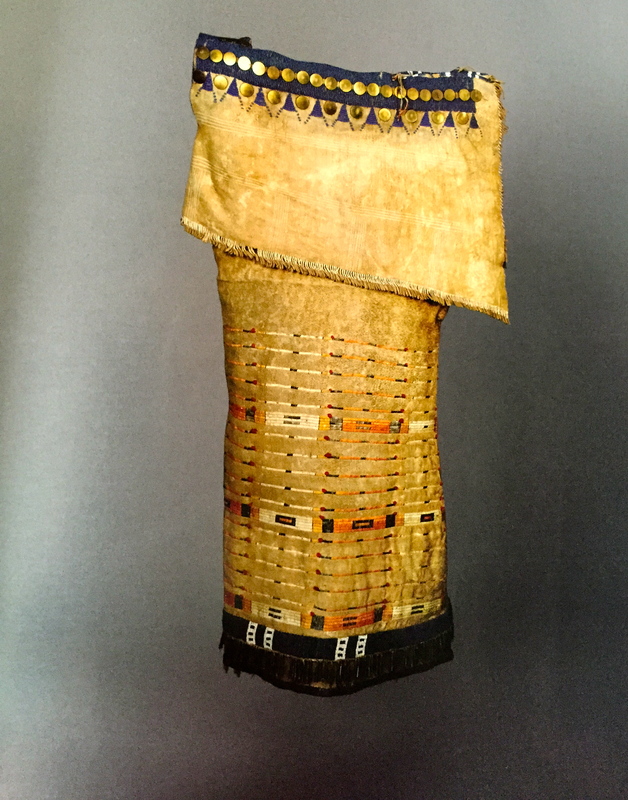 Most likely the woman who made this dress was married to a trader which gave her access to these exotic materials, heightening her status in the community. And her creativity is astounding as a side fold dress was extremely rare at that time- in fact this design would be a desired piece today in many high-end boutiques. This entry was tagged aboriginal, AESTHETICS, ART, ARTIFACTS, ATROCITIES, CHEYENNE, CLOTHING, COMMANCHE, CROW, CULTURE, CUSTOMS, FASHION, INDIANS, INDIGENOUS, LAKOTA, NATIVE AMERICANS, PAWNEE, PLAINS, RESERVATIONS, SIOUX, TRIBE, WOUNDED KNEE. Bookmark the permalink.